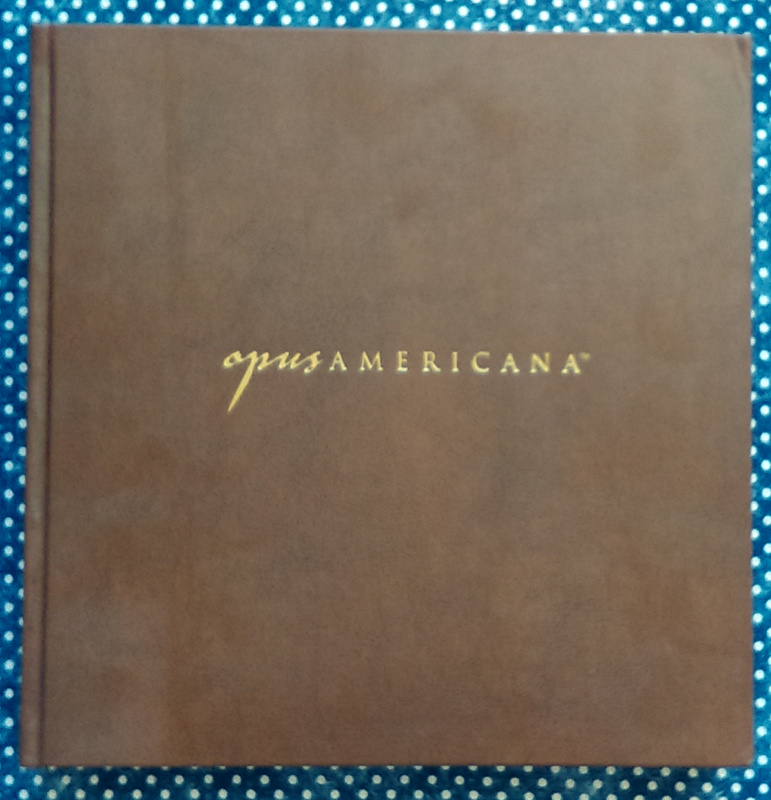 Opus Americana is the creation of former United States Marine Michael Niemis to remind current and future generations of the greatness of the Founding Fathers of the United States of America and the Founding documents they wrote which made America the nation it is today. This heirloom quality patriotic book will enlighten your understanding of the founding of the United States, the Declaration of Independence, the Constitution and the Bill of Rights and stir your sense of patriotism and pride as you read about the people and events that shaped this great republic. This is an absolutely beautiful book! The Standard Edition is the only edition still available. 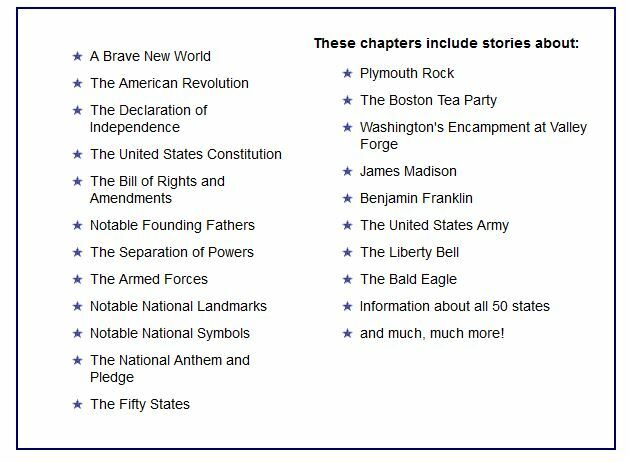 And that's only because Revolutionary War and Beyond bought the last 7 remaining books from Michael. There are only 3 remaining. 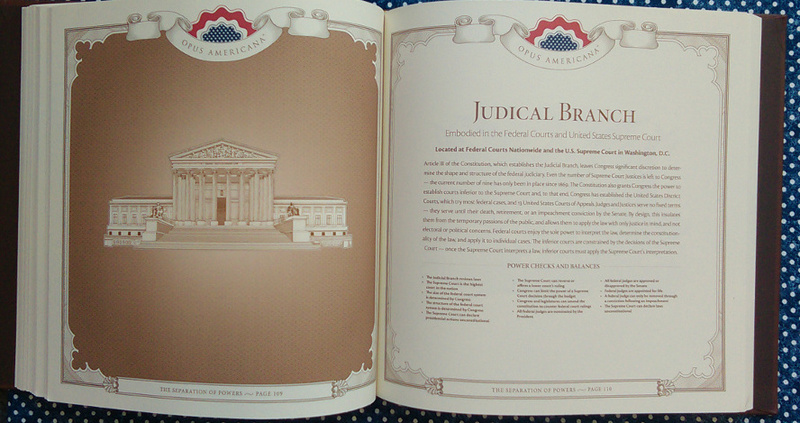 Michael Niemis created this magnificent patriotic book in response to what he believed was a deterioration of the knowledge of American history and values. 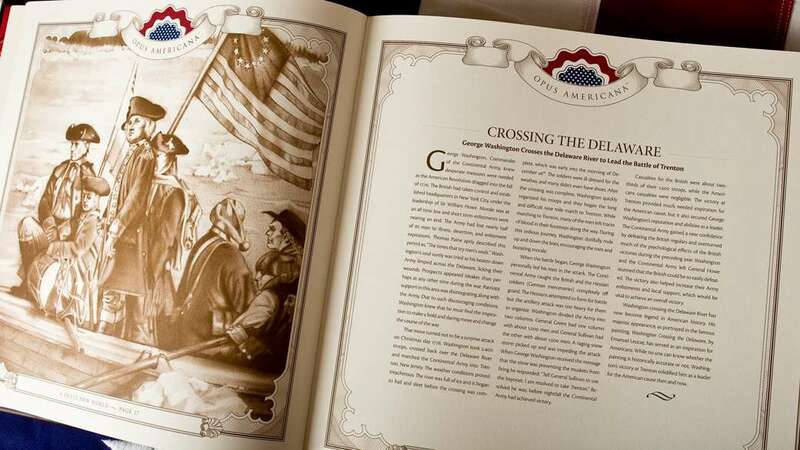 He set about in 2009 to create a memorable heirloom quality book that would preserve and pass along to future generations the true story of the events and people that created this great nation. Michael Niemis is a former United States Marine, currently living in Florida, with a background in professional graphic design. He meticulously researched the people, places, documents, battles, national landmarks and patriotic symbols featured in Opus Americana - the Boston Massacre, Paul Revere's Ride, the Declaration of Independence, the Bill of Rights, George Washington, Thomas Jefferson, Alexander Hamilton, the National Anthem, the Washington Monument and dozens of others. Then Michael personally selected the Full Grain Genuine Leather, Die Cast Metal Flag Emblem, Marbled Paper Endleaves, 23k Gold Foil Stamped Logo and Smyth Sewn Binding, along with many other unique features, making this a truly timeless and eye catching addition to any home or library, and worthy of being passed from generation to generation to preserve the heritage of the United States in the minds of those who read it. 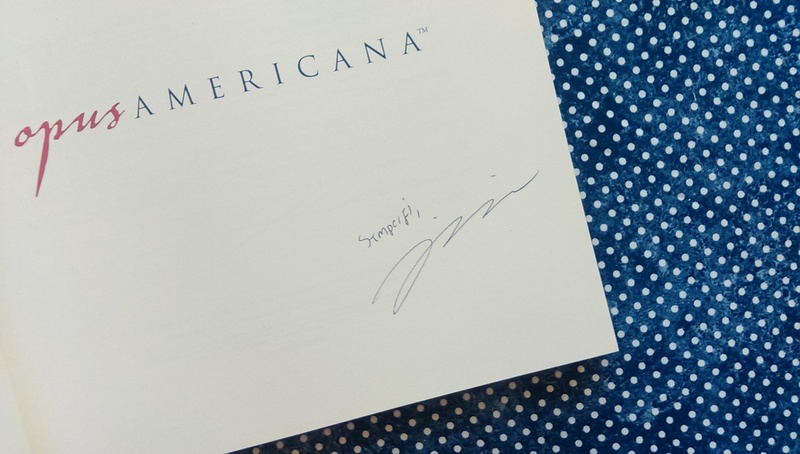 "After careful appraisal of the Opus Americana Magnus Edition, it is my professional opinion that this book should sell for anywhere between $800 to $1000. The quality of materials and workmanship is on par with any of the finest books I have seen. The use of full grain genuine leather, the unique metal cover emblem, the gold gilding, the marble paper end sheets, the vellum finish paper, and the included case make this collection, at its current price, a steal."